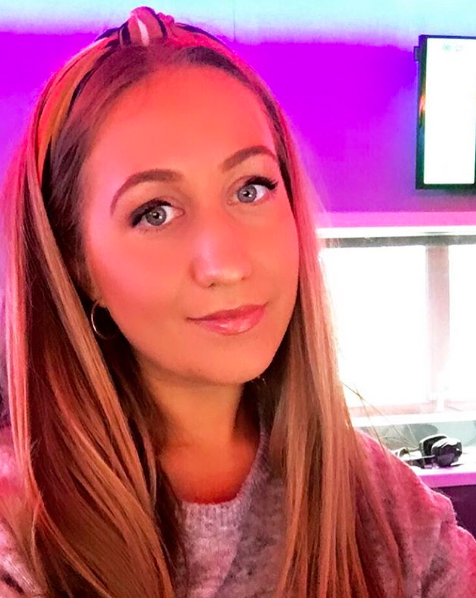 This week we chat to Emily Sandford, 26, based in London and a Presenter for Capital – The UK’s No.1 Hit Music Station. 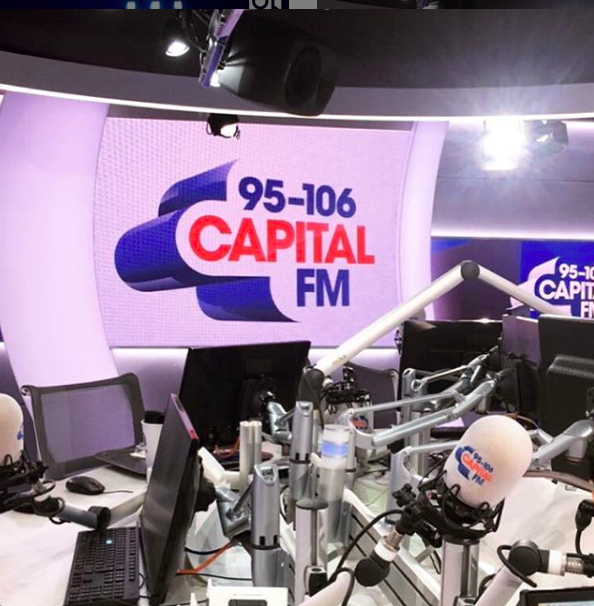 Emily has her own weekend show on Capital South Coast (Tune in Saturdays & Sundays 12-4pm!) and on the side of presenting, can be found freelance producing for the Capital Network. So, Emily, what inspired you to get into radio? Aside from loving the music and entertainment industry, I’ve always been inspired by the way Radio is such a big part of people’s lives. What I absolutely love about having my own show is that it’s an opportunity to have a really positive impact on someone’s day. Where did you grow up and what influence did it have on your presenting? As a toddler I grew up in cute harbour town in Norway (called Haugesund), but I’ve spent most of my life in the UK living in Surbiton. It’s the perfect town to live in if you want to be quickly connected to every place in London. Living here has meant from door to door I can be in a studio or at a meeting within 30 minutes. Does where you live have an influence on your work/career? Definitely! Living in a place with a lot going on adds so much value to my creative (and general) existence. As a presenter your brain never switches off because you are always absorbing information in the things you hear and see. Being in a place where I can easily immerse myself in loads of experiences (cinema, galleries, concerts, restaurants, bars etc) is crucial to my work. 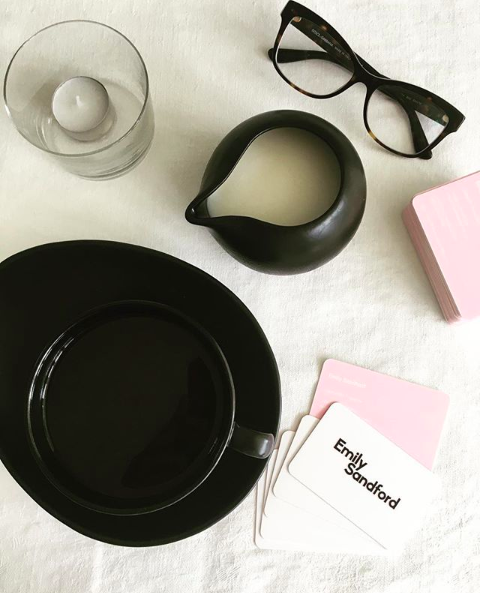 I love being observational and clued up on things – it makes my content sound intelligent and more interesting! How has your community shaped your work now? I feel at peace in Surbiton, and I think when you feel at peace you naturally put your best energy into everything you do. Your best self + best energy = the key to success. There are two moments: Firstly when I got my first ever listening figures – In 6 months I’d added 10,000 listeners and therefore had more listeners than Radio 1! Secondly In January 2017 I did my first Network Show on Capital which broadcast across the UK. 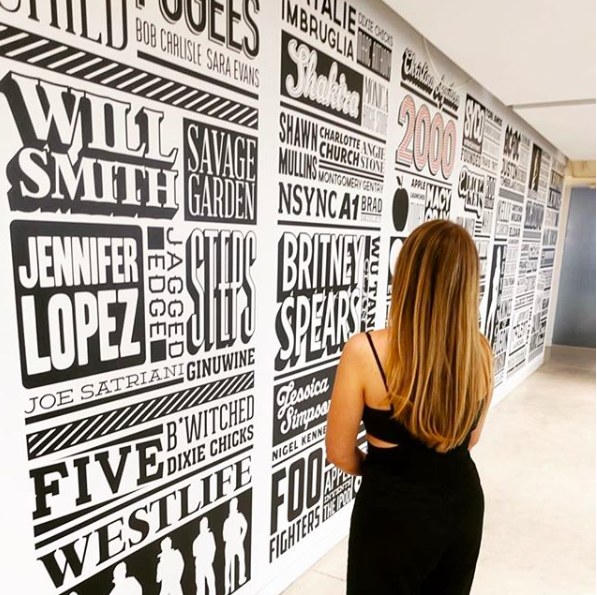 It was a pinch me moment – and I hope a sweet taste of all the cool things I will do in my career. It really showed me that hard work pays off. I achieved this in less than a year of being on air so I am very happy about that! I live by the phrase “your vibe attracts your tribe”. I like Cliché! I could list a few of my most admired celebrities, and some of my work mentors, but at the end of the day, it’s my family and friends who influence me most. They’re the ones who are ultimately with you from start, middle, end! Everyone I surround myself with are very positive, warm, driven, ambitious, creative and fun people. They all help me the best version of myself which I am very grateful for. Where is your favourite place to eat, drink and visit in London? If you’re in Surbiton (my hometown) I really rate ‘The Antelope’ on Maple Road– Their Sunday roasts SLAY ME (and I find it hard to say no to the fried chicken and halloumi salad). After work I’m partial to a little gathering at Dinerama in Shoreditch – it’s a street food complex everyone should know about with good food and good vibes. 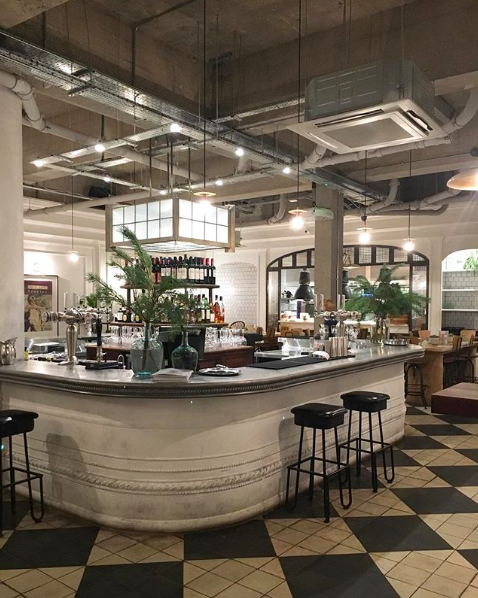 If you want to impress a client or date – ‘Hoppers’ in Soho serves the nicest Indian in London (and thats coming from someone who usually lives and breathes Dishoom) or Sophie’s Steak House in Piccadilly which is classy – and cool. It serves wonderful cocktails and seriously delicious food. Where would you recommend to anyone to visit in London? I recently did Sunrise Yoga at the ‘Sky Garden’ which is at the top of the Walkie Talkie building on Fenchurch Street. The class is 60 minutes and focuses on vinyasa flow style yoga. It’s such an amazing experience because during the lesson you look out at the London skyline and morning sunrise which is so beautiful! It was totally worth the 5am start and you also get an unlimited breakfast buffet at the end which is F-A-N-C-Y. Zen/10 would recommend. Let me tell you though: to succeed in anything in life, you need to work on yourself. Which is what I’m constantly doing. Being the best version of you is what brings success. I have a couple of secret projects going on, and I’m also producing a podcast and book about Pop musicians. I’d say Oslo! One of my main #funfacts is that I’m fluent in Norwegian. The majority of my family live in Scandinavia and I’m in LOVE with the scandi lifestyle. What is it that stands out as different to other places in London? Surbiton is really leafy and suburban! You can do a lovely walk along the River Thames and we’re so close to Hampton Court Palace which does concerts and even ice-skating in the winter. It’s really relaxing compared to central. I like that I can be in the hustle and bustle during the day and come home to somewhere that makes you unwind. What’s the most important/significant spot for you and why? A significant spot for me is Maple Road in Surbiton. I was raised on a street which branches off from it. It’s a small classy street that happens to have my old village school on one side and on the other they have a tiny french cafe and restaurant, two great pubs, a gin bar, a pizza restaurant, a nice convenience store (I used to get 20p sweets there as a kid), a beauticians, two cute hairdressers, and even a pizza restaurant. They also do a farmer’s market there every last Sunday of the month. What’s a hidden secret that’s off the beaten track? There’s a little restaurant in Surbiton called Nay Thai. By little I mean there’s 6 tables and you have to book because it’s popular! It doesn’t look like much from the outside – but you won’t find a pad thai quite like it anywhere else. Me and my Best Friend are high-key obsessed with it! Are there any pieces of your work that reflect a certain place in London? For me, Leicester Square reflects my work, because it’s the heart of Capital FM. When it comes to culture, London competes on a global scale. The UK’s capital is bursting with exciting things to see and interesting people to meet. It is no surprise given the incredible talent that can be found across every borough. So the team at ideal flatmate wanted to meet the creative individuals producing some of the best work. We wanted to understand the significant role a person’s environment has on influencing their work, and at the same time, showcase the fantastic things they are producing.